Add some luxury to breakfast, teatime and dessert with this perfect melding of sweet and creamy. 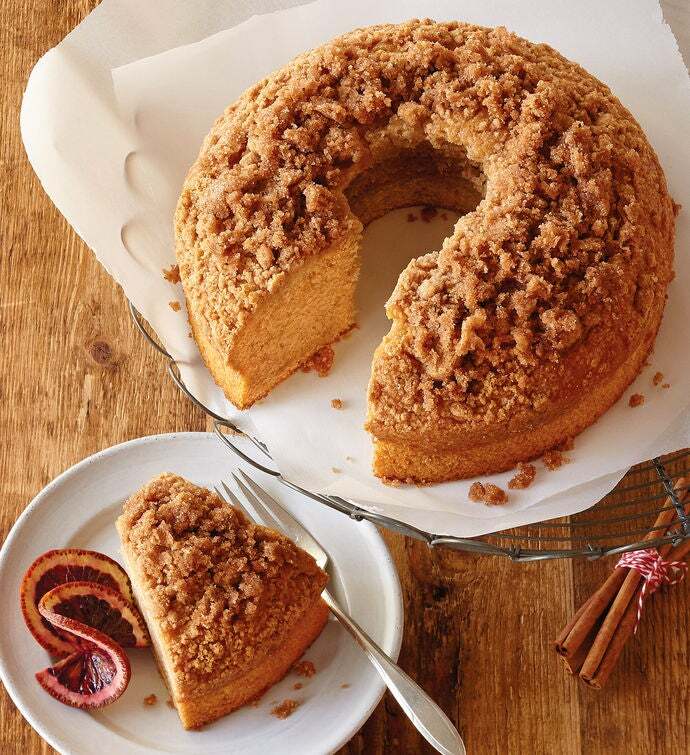 Baked in small batches, our rich and decadent Cinnamon Sour Cream Coffee Cake is a flavor experience just waiting to be shared. Turn an ordinary breakfast or brunch into the extraordinary!